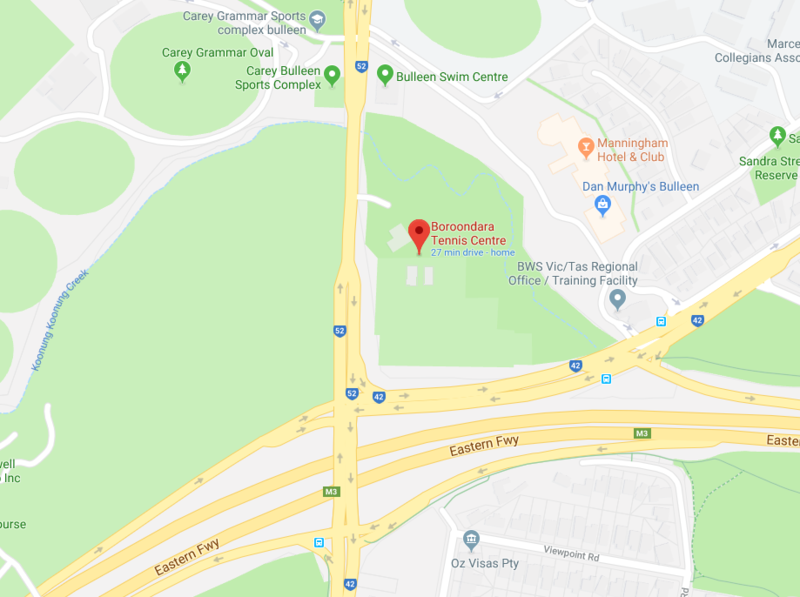 Here at Boroondara Tennis Centre, we have been running social adult night competitions for over fifteen years…. and we love it! We cater for all levels of tennis ability – and if you don’t know how to have a rally and serve at a social level, then why don’t you come in and trial group or private lessons with some of our top coaches! Social adult night competition starts at 7pm each Monday through to Thursday night, with two sections. Section 1 is for the more serious competition player catering for an intermediate to advanced level and Section 2 is for the social to intermediate players. As it’s a social game you will play with both males and females – with a wide variety of ages from 18 years plus. We try to group similar age groups together in a team for maximum team dynamics. The cost of play is $20 each night which includes three Sets of doubles. Other things of interest, you don’t need to be available for all games unless you want to be, we don’t play in extreme heat or rain… and the good news is that throughout the season we have pizza nights. However, many of our teams organize their own social get-togethers after play and bring in some nibblies and drinks – and you’re always welcome to use our BBQ under the gazebo too! Please don’t delay enrolling as we also need plenty of emergency players to fill in for current season play. Please register your interest with Sue at info@boroondaratenniscentre.com.au or call the centre on 9850 4500. All players enrolled as regular team members will receive the following player benefits for the duration of the competition season. All NEW team enrolments in the new seasons of Monday, Tuesday, Wednesday and Thursday Social Night Comp will receive an hour of FREE team coaching and a FREE can of Head Tennis Balls. Social Competition Players receive 50% off court hire on Mon-Fri 9:30 am to 6:00 pm and Sat-Sun from 1:00 to 5:00 pm. Discount price for any player that plays more than one evening, during each week. Discount price if you play as an emergency. Pizza nights throughout the season. Go into the draw to receive Australian Open tickets. If you nominate another team to enter the competition your team members receive discounted weekly fees.